Skin aging is inevitable, that’s for sure. It’s something that we, both men and women may experience from our years of living. If only I realized that earlier in life, my love for skin care would have started a few years ago, who knows? But truth be told, it wasn’t the case for me. In fact, my skin started to develop fine lines and wrinkles at my early years which I’m guessing was caused by my natural-born skin condition. I don’t have a nice skin condition, if I can be very honest about it. Apart from it being sensitive, I can also spot several flaws from here and there around my body. But as cliche as it may, I learned to love it wholeheartedly (#FLAWSOME) and I’m not even kidding. But that doesn’t mean I stopped hunting for things to improve my skin cos, I-DON’T. 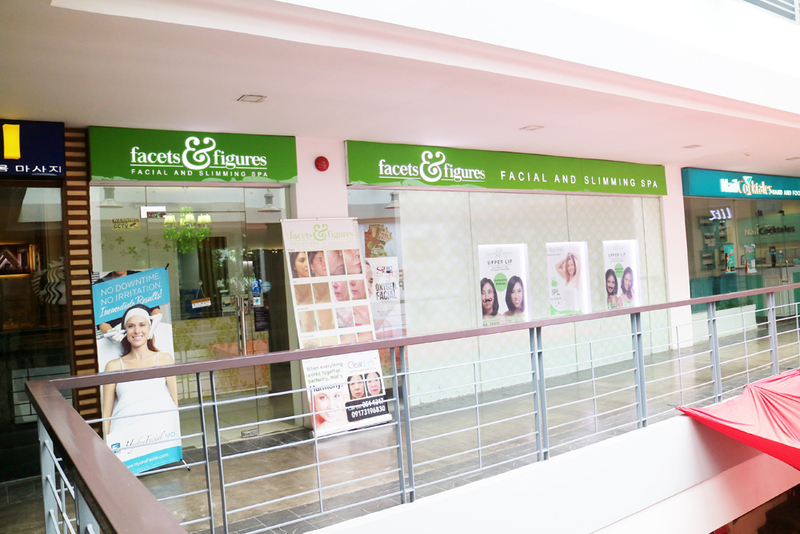 That was why, when SpectruMed invited me to try out ClearLift Treatment at Facets and Figures, I immediately gave it a go. 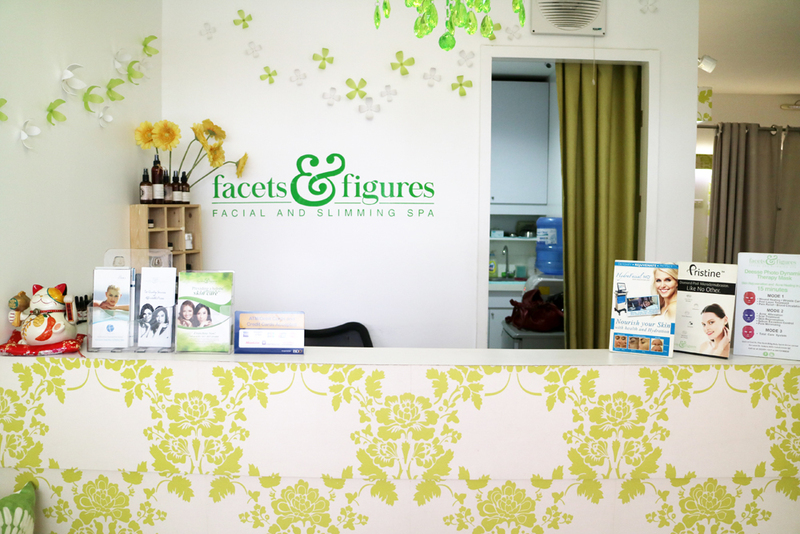 Facets and Figures Facial and Slimming spa is a shop for facial care and slimming services. 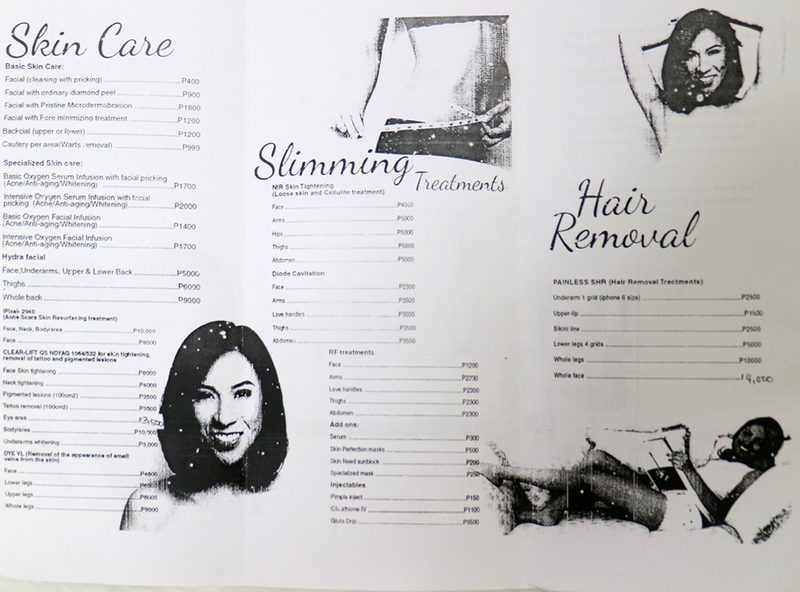 They offer procedures focusing on maintenance for the general upkeep of one’s health and beauty at affordable prices. 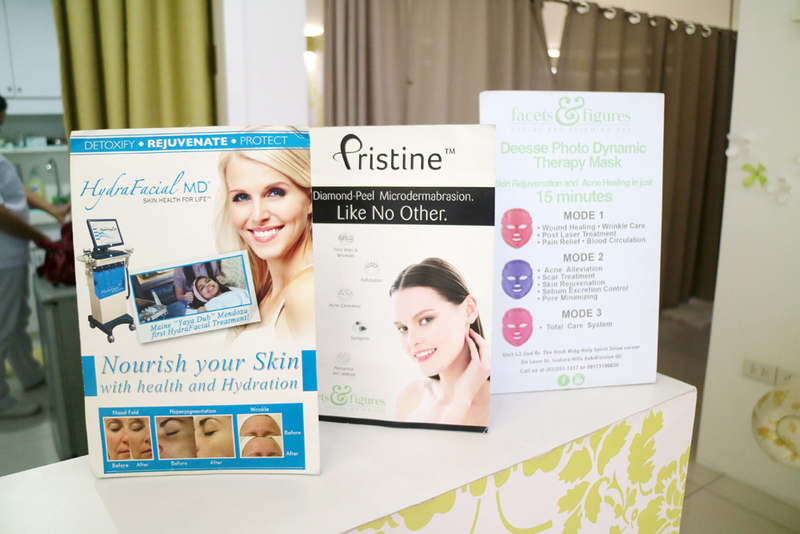 Some of these services are HydraFacial, Diode Cavitation, RF Treatments, Painless SHR and many more. Complete services can be found at one of the photos below, keep scrolling. It was the very first time that I was able to try ClearLift Treatment – the first time I heard about it as well. You see, it’s a whole new treatment for me prior to this experience. ClearLift is a non-ablative painless laser which helps with skin remodeling and skin lifting. It reduces the visibility of fine lines and wrinkles, making your skin tighter and more youthful looking. It can be done around the eye area, face, neck and body area depending on your preference. I had the ClearLift treatment on my face, in particular. 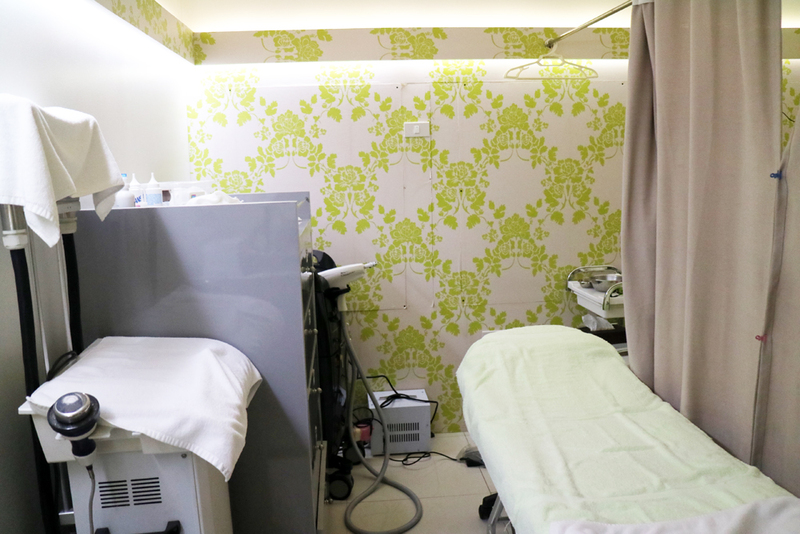 One session costs Php 8,000.00 and varies depending on the affected skin area. They had it at 50% off last month and so far, there’s no announcements yet on when’s the next promotion is coming. 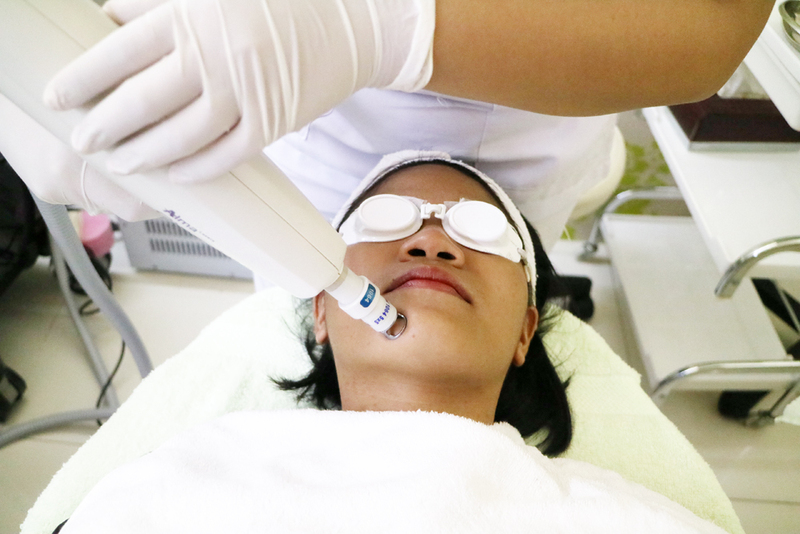 ClearLift uses a non-ablative laser that reaches deep within your skin, thus, it’s strongly NOT recommended to those who are undergoing any type of skin peeling process. So, if you’re using any kind of whitening products, the chances of damaging your skin is quite high when combined with ClearLift. We definitely don’t want that to happen, do we? You may opt to call their contact number to seek advice or consult your dermatologist before taking the procedure. Remember that safety comes first more than anything else – this included. If you don’t fall under the mentioned condition then, we’re ready! Again, the following are for the Face ClearLift Treatment process. Let’s start! Like any other usual facial services out there, we also started the overall ClearLift Treatment by cleansing. 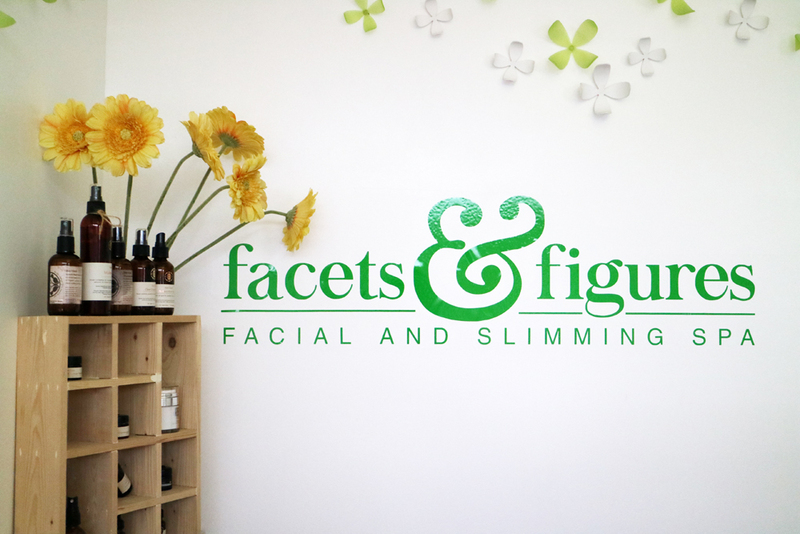 This was done by the Facets and Figures Beauty Therapist, so be comfortably relax while this step is being done. You don’t need to move a thing or so. The last and final step was the laser part (see photo above). There was an electric static smell during this step but as per my beauty therapist, it was just normal due to my facial hairs (I’m hairy, that’s why). It also felt warm on the face especially on the nose area but it wasn’t really alarming at all, barely noticeable even. The therapist first did half of my face and let me checked the difference from the other half-side right after. Then, she went on to the other half after I gave a go. The overall procedure took around 45 minutes to complete. I was happy with the initial result. I wasn’t even expecting to see immediate changes right after the first session, but to my surprise, IT DID! I noticed that my skin feels smoother – probably because of the skin tightening effect of the ClearLift treatment. 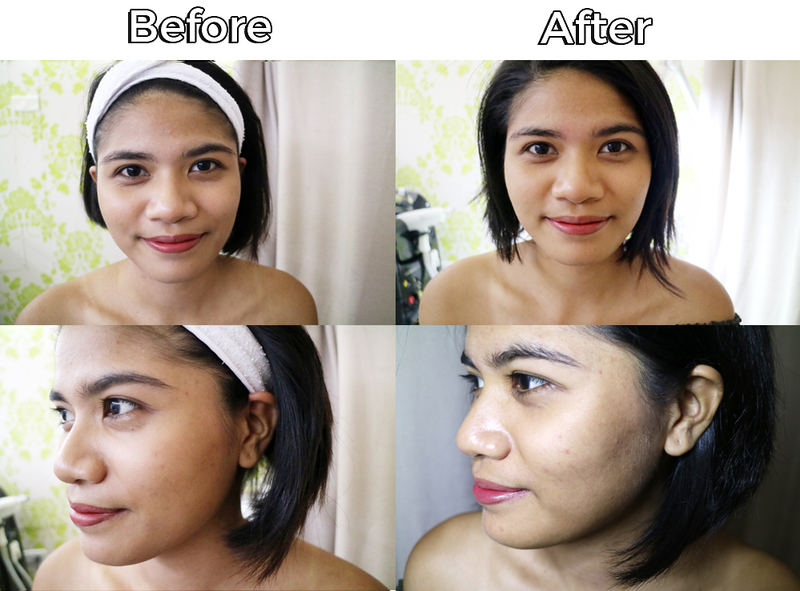 It also helped lift my skin a bit which I only noticed when I got back home but, already noticeable on the photos above. It really did reduce my fine lines, especially around my laugh lines and eye area. It’s hard to pinpoint where and what part of my face has the biggest effect so far cos, it wasn’t drastic enough to see that part. But overall, I absolutely like it! It’s nice that there are already visible effects seen immediately after the treatment. Comparing to other treatments, others would have to reach a certain number of sessions before any changes can be visible. 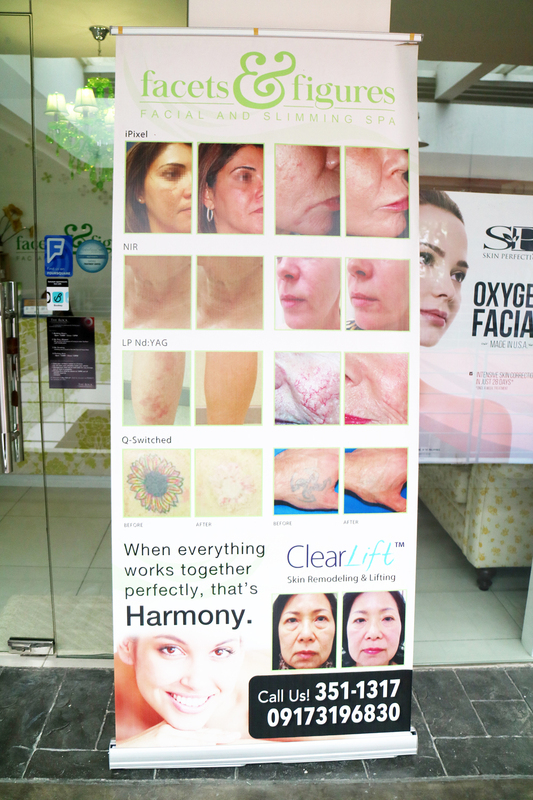 For ClearLift, one session is enough to prove that something has happened. But if you aren’t satisfied, you may always avail several more sessions to achieve your desired effect, it all depends on you. It was an absolutely nice experience to have! I enjoyed a lot! Thank you so much SpectruMed and Facets and Figures for inviting me! Disclaimer: I did not receive any form of monetary compensation to promote this skin care treatment and the spa. However, the treatment was provided for free in exchange of a blog review. All opinions are mine, based on my own thoughts and experience.